On September 20, your WeChat moments may have been inundated with posts about a cityscape lit up with a kaleidoscope of stunning lights. Well, that may very well have been the grand celebration that was being held at Shenzhen's Civic Center to commemorate the 40th anniversary of Reform and Opening-up. The celebration, themed ‘Chasing the Dream: A New Chapter of Reform and Opening-up,’ received around 1,300 invited spectators. (Invitations = a smart move given what happened when an estimated 80,000 people turned up when the light show was tested back in June). The stage for the event was unlike any other. The 2,000-square-meter stage was decked out with LED screens, and on it stood a giant 'Dream Chaser' statue also built with LED panels. All of this was neatly choreographed in tune with the 43 illuminating skyscrapers in the heart of Futian District. 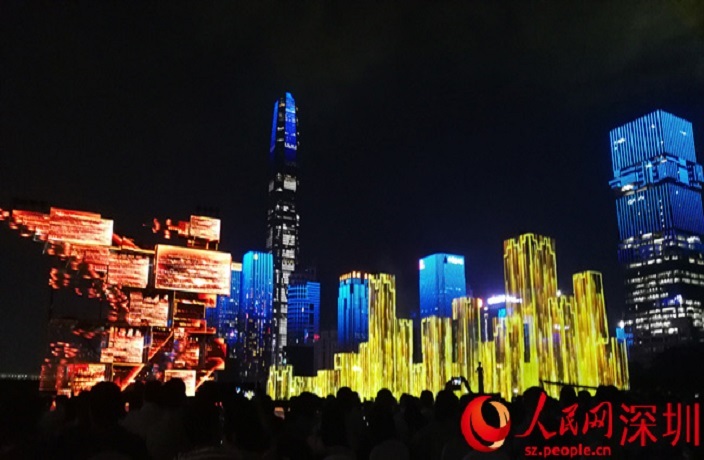 The celebration unfolded with live performances organized into five chapters, each reflecting the different stages of Shenzhen’s development over the past 40 years. At one point during the show, a giant ‘Peng bird,’ a mythical bird in Chinese folklore that has been used to represent the city of Shenzen, was formed in the sky by 800 drones, symbolizing that Shenzhen has indeed taken off. Now don’t get upset if you missed out on the event, because the entire show was captured on camera and will be broadcast on CCTV channels 1, 2 and 3 during the upcoming National Day holiday. And better still, starting from September 28 through to December 31, the light show will be held every evening from 7.30pm to 9.30pm on Fridays, Saturdays and national holidays, and from 8pm to 9pm Sunday to Thursday. Grab your dogs and go!